QuasarDragon: You Are About to Experience the Awe and Mystery Which Reaches from the Inner Mind to — The Free Fiction Limits. You Are About to Experience the Awe and Mystery Which Reaches from the Inner Mind to — The Free Fiction Limits. Another collection of links to great free fiction. There are new and classic stories with all-new audio readings, another cool eZine posted, and great text fiction. And as the Governator once said, I'll be back with e-books and more. • At L5R: "Gates of Chaos, Part 3" by Seth Mason. Fantasy. "Two hundred trained Unicorn veterans stood in formation by their mounts as Akodo Dairuko walked slowly past the front line. The Champion of the Lion Clan inspected each soldier as she walked by, her eyes darting quickly and precisely to each detail on the armor, weapons, mount, and the soldier before moving on to the next." • At Nightmare: "How Far to Englishman’s Bay" by Matthew Cheney. Horror. "Max had made the decision that April morning to close up the bookshop and go away for once and for all, but he hadn’t told anyone yet, and he needed somebody to take the cat, so it was a good thing Jeffrey showed up an hour before closing." • At Planet Magazine: "Encounter at Midnight" by Irene Maschke. Science Fiction. "Mick stared open-mouthed into a long, green face with deep wrinkles and two spindly antennae on top. The alien was a little shorter than himself and looked rather plump in its silvery space suit." • At Weird Fiction: "Buddha Nostril Bird" by John Kessel. Science Fiction. 1990. "After we killed the guard, Glaucon and I ran down the corridor away from the Well. Glaucon had been seriously aged in the fight. He limped and cursed, a piece of dying meat and he knew it. I brushed my hand along the wall looking for a door." • Now Posted: Cafe Irreal #47 Summer 2013. Weird. Surreal. Mostly Flash. At Daily Science Fiction: "The Dollmaker's Grief" by Michelle M. Denham. At Quantum Muse: "The Void" by Harris Tobias. Science Fiction. At 365 Tomorrows: "No Portraits" by Clint Wilson. Science Fiction. 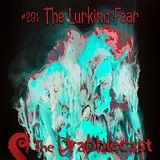 • At Drabblecast: "The Lurking Fear" by H.P. Lovecraft. Horror. "There was thunder in the air on the night I went to the deserted mansion atop Tempest Mountain to find the lurking fear. I was not alone, for foolhardiness was not then mixed with that love of the grotesque and the terrible which has made my career a series of quests for strange horrors in literature and in life. With me were two faithful and muscular men for whom I had sent when the time came; men long associated with me in my ghastly explorations because of their peculiar fitness." • At 19 Nocturne Boulevard: "At the Sound of the Beep" by Julie Hoverson. Horror. "A woman's answering-machine tells a terrible tale of persecution." • At PodCastle: "The Tree of Life" by C.L. Moore. Weird. Fantasy. "Over time-ruined Illar the searching planes swooped and circled. Northwest Smith, peering up at them with a steel-pale stare from the shelter of a half-collapsed temple, thought of vultures wheeling above carrion. All day long now they had been raking these ruins for him. Presently, he knew, thirst would begin to parch his throat and hunger to gnaw at him."